A blend of gunpowder and mint tea. Traditionally drunk in glass tea cups with sugar. Mint is used in a lot of north African cooking and drinks. The tea is still drunk in Morocco, the blend using green tea was introduced by Europeans, this was originally in exchange for prisoners. 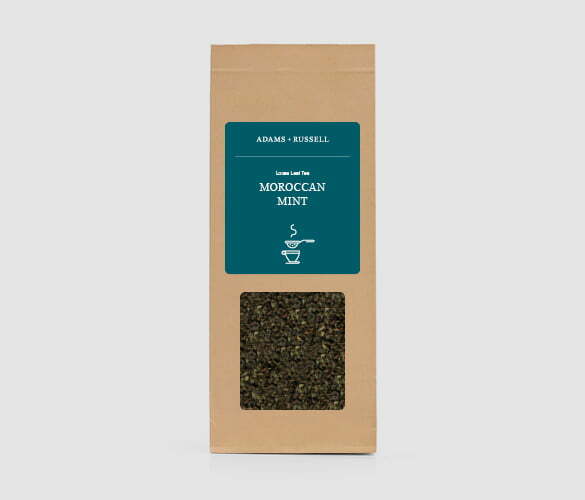 A robust blend of refreshing spearmint and the combination of gunpowder tea to provide an amazing flavour. Mint tea is often seen as the most famous thing to come out of Morocco and there are lots of how to guides on how to make it. If you want an easy way to make it in an instant, then try brewing these leaves in a cafetiere teapot. The flavour will be fantastic. What’s more, if you think english breakfast tea is popular in Britain, then Morocco is most definitely not far behind with their cherished beverage. Mymoroccanfood.com provides a great way to make it using fresh mint leaves and gunpowder green, which you can find here. But with these leaves, the method is simple. Just grab yourself a teapot designed specifically for loose leaf and brew with boiling water according to the instructions. When the sun is shining and the temperatures are soaring, it’s probably quite nice to have your brew cold. All you need to do is brew some of the leaves in a couple of cups of boiling water for about 5 minutes before adding more cold water to cool it down. Then just add ice. You will have a moroccan mint tea from fresh leaves before you know it. Are there any health benefits associated with Moroccan tea leaves? There’s many studies to suggest in general provides many health benefits including lower risk of heart disease, cancer or diabetes. It’s believed that anti-oxidants help boost endurance. It’s also believed to help with weight loss and as such, many are beginning to see a ‘teatox’ as part of their everyday life. Today.com looks at some of the health benefits in a bit more detail. Morocco is a sovereign country located in the Maghreb region of far North Africa.